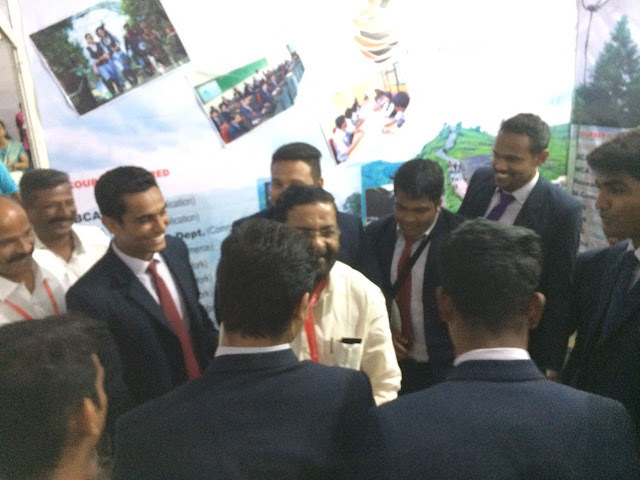 Mr R Muthuraj I T S, (second from left) Joint Director General, Ministry of Commerce and Industry, Govt of India on a visit to the college. 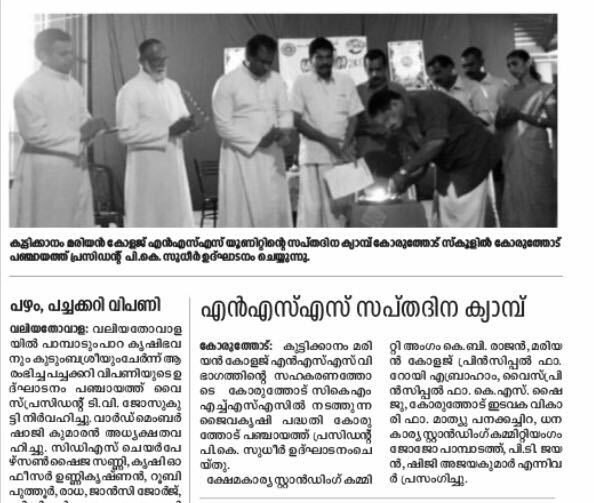 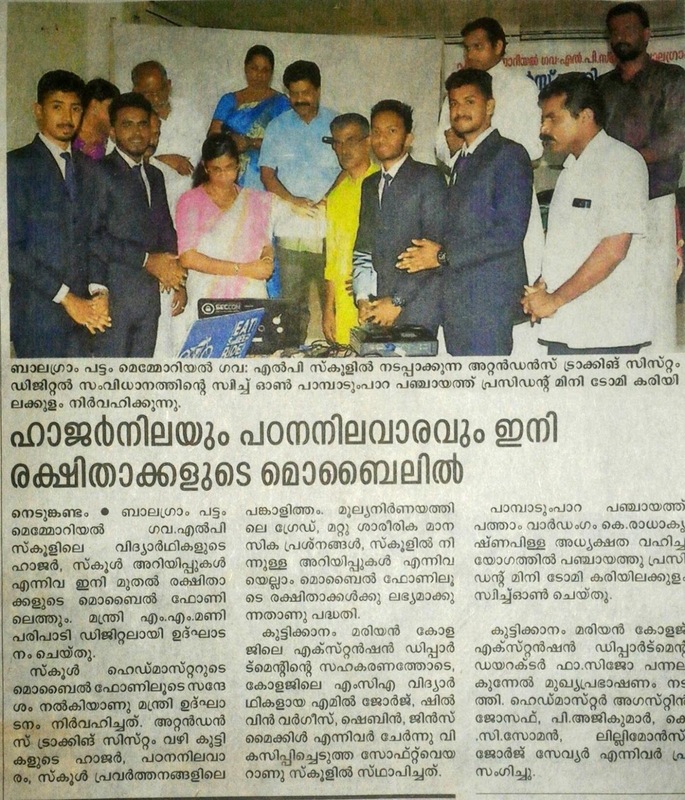 Attendance Tracking System launched at Pattom Memorial Govt L P School by Marian MCA Startup- "Digimark Consultancy" in association with Dept of Extension Programmes. 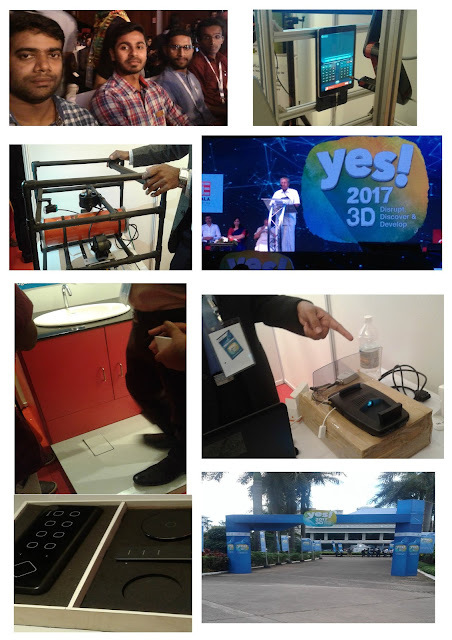 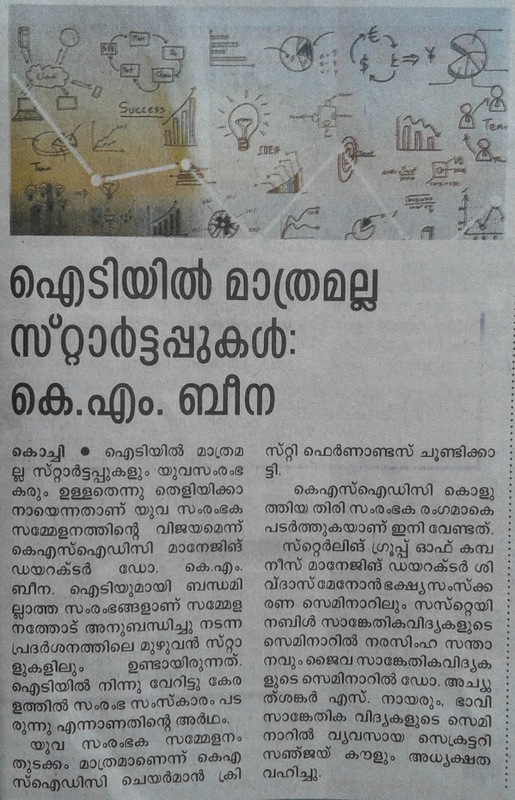 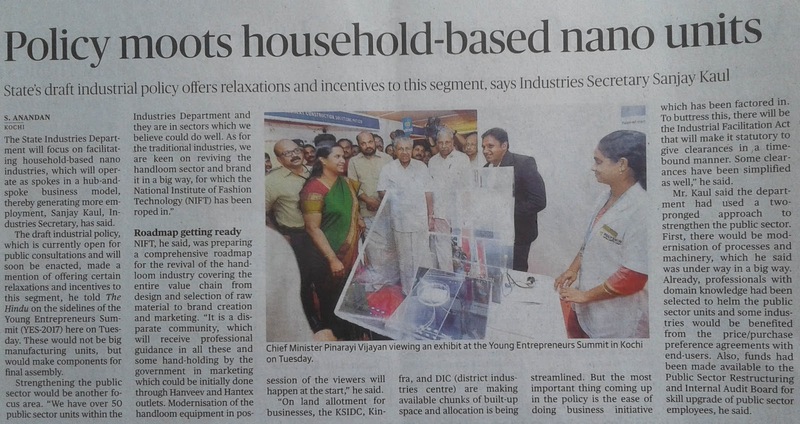 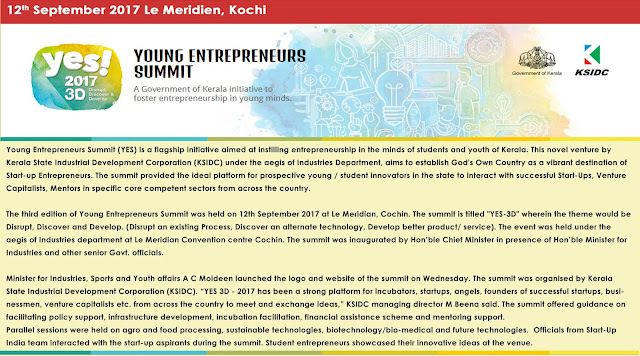 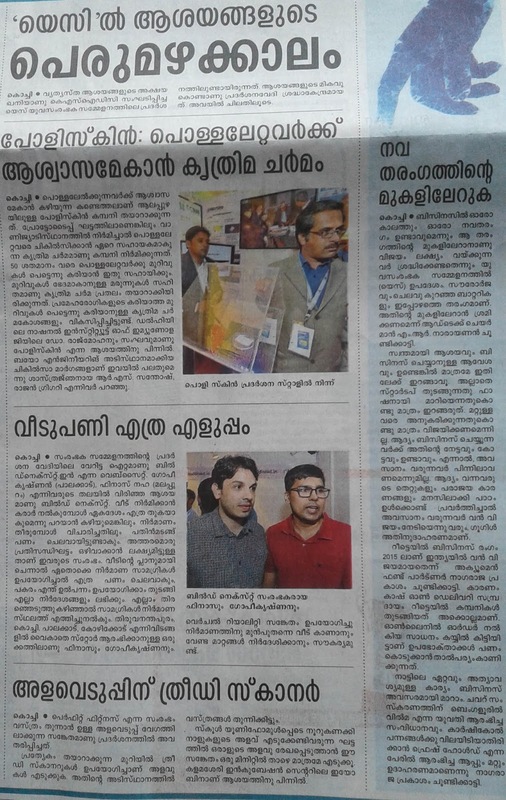 The tracking system was designed by four young entrepreneurs (Mr Jince Michael, Mr Emil George, Mr Shilvin Varghese and Mr Shebin P T) under the guidance of Ms Kochumol Abraham and Ms Jyothi Jose. 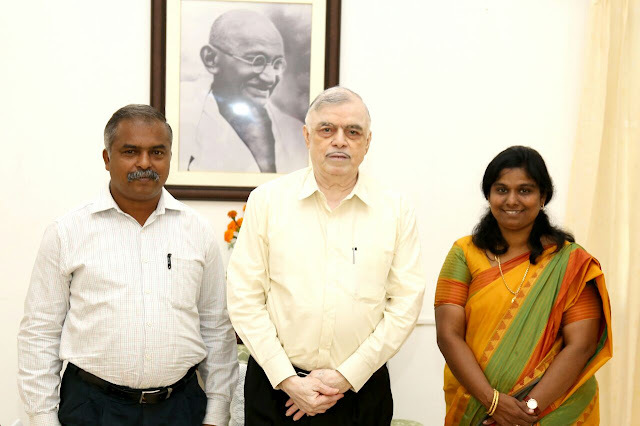 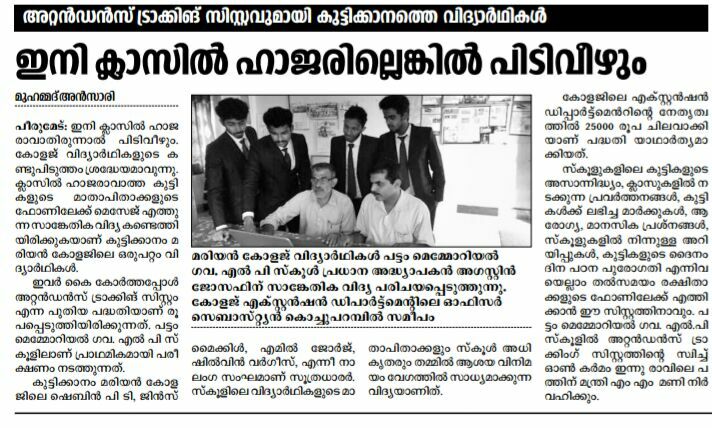 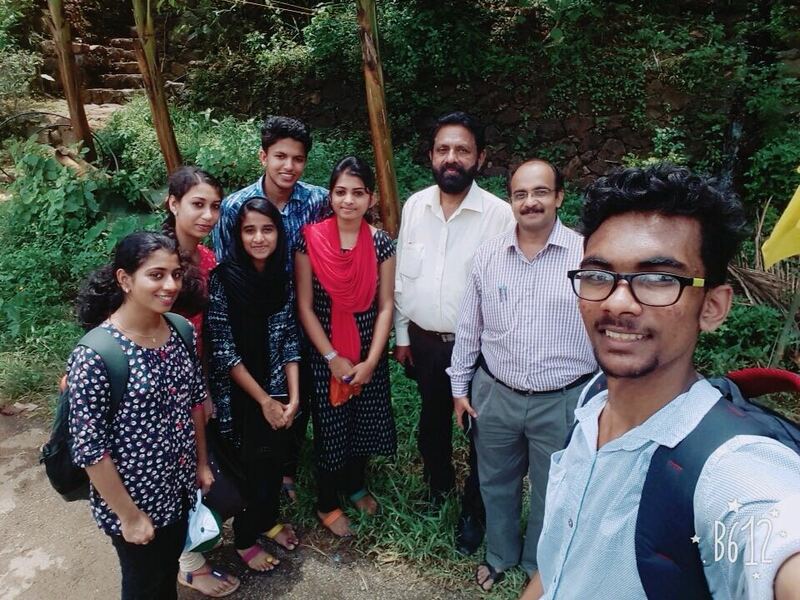 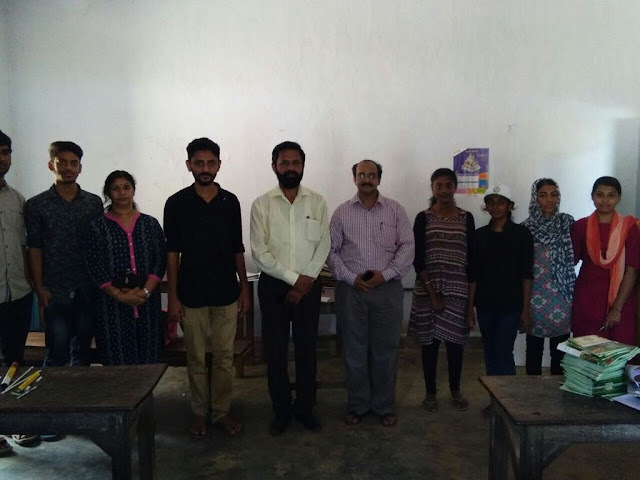 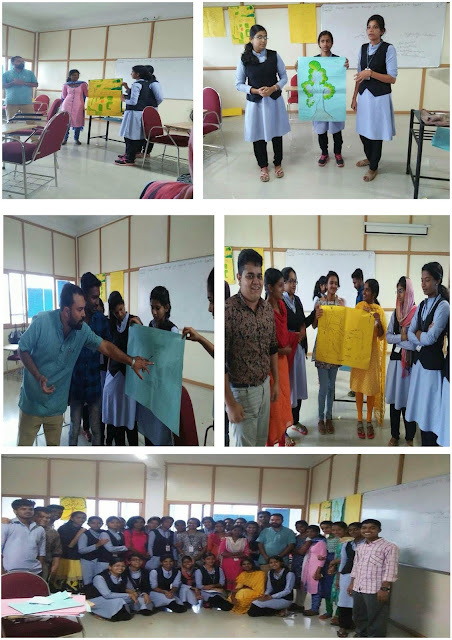 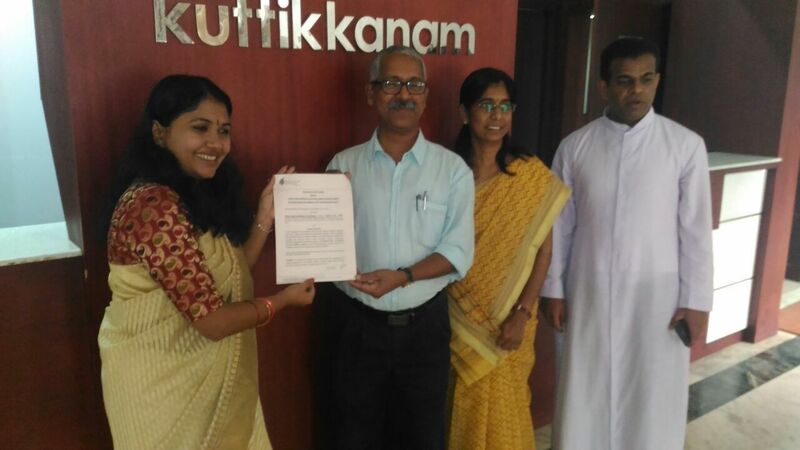 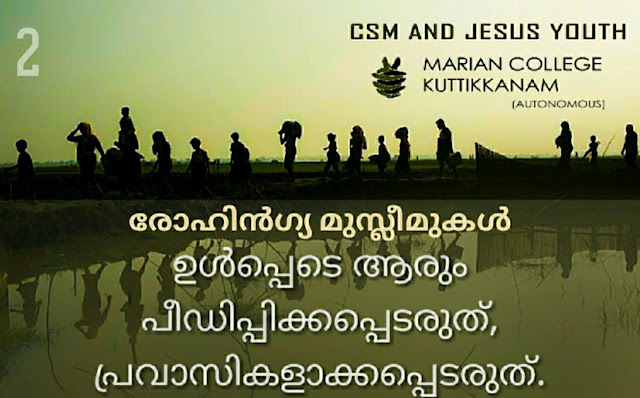 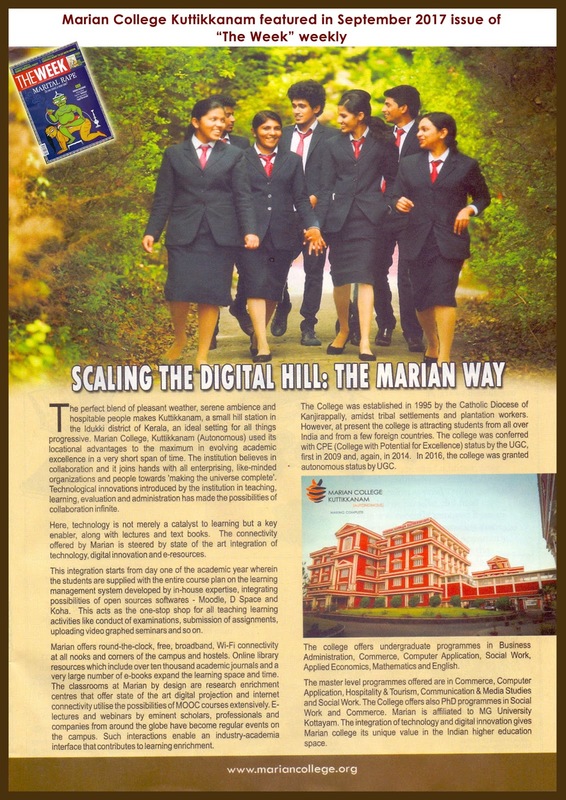 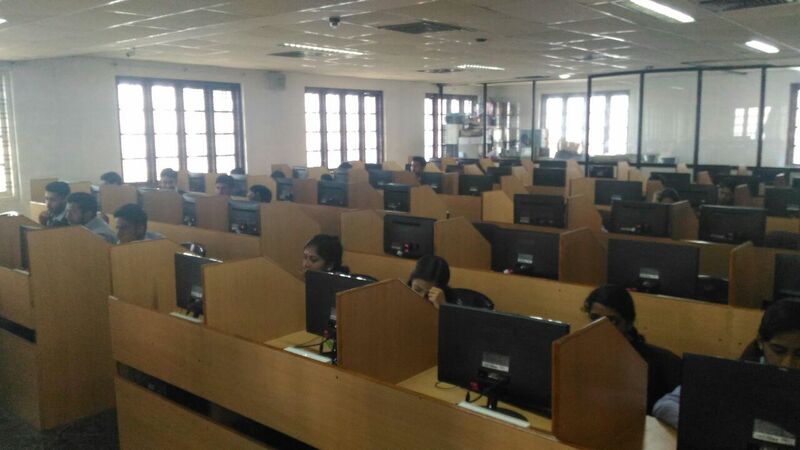 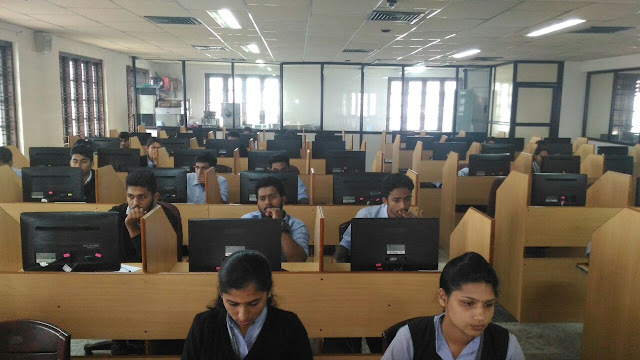 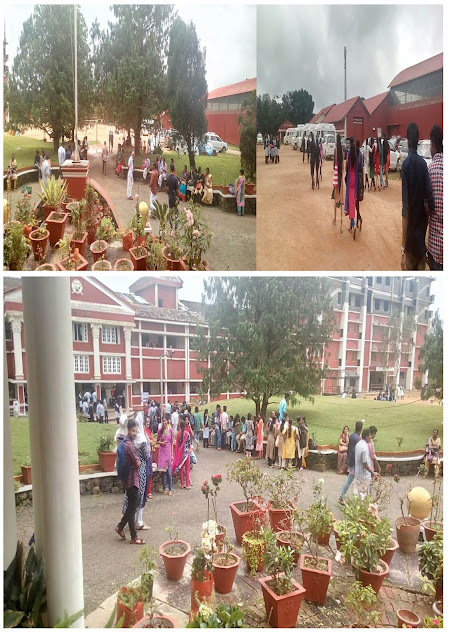 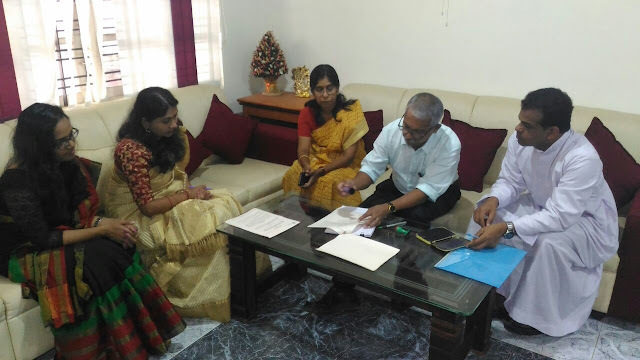 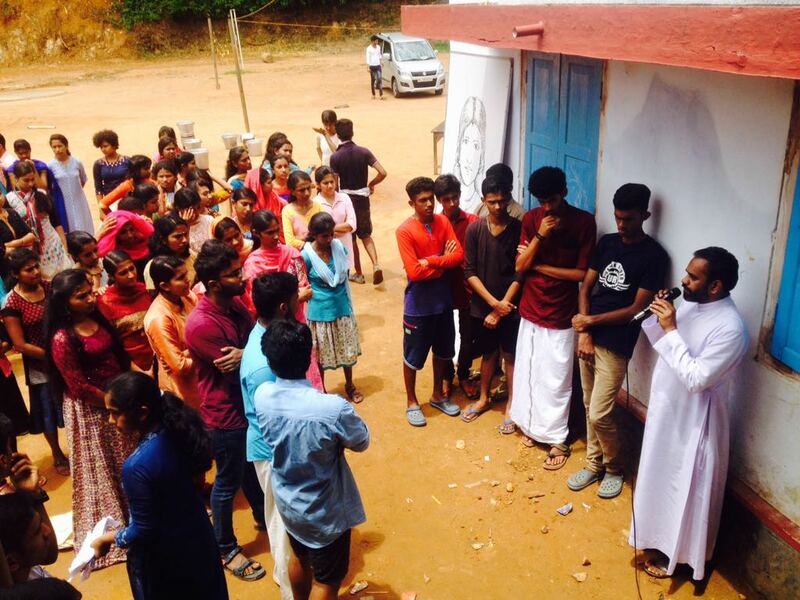 A start-up initiated by the students of the MCA Department in Marian college Kuttikkanam is to help a government LP school in Kattappana to implement an automated attendance system for their students. 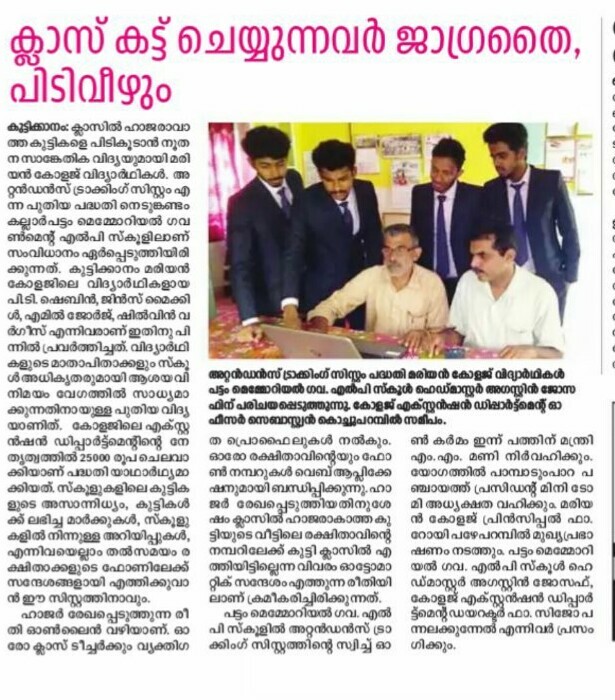 This venture is the very first initiative of the company Digimark Consultancies which is owned and operated by four students from MCA department namely Mr Emil , Mr Jince, Mr Shebin and Mr Shilvin. 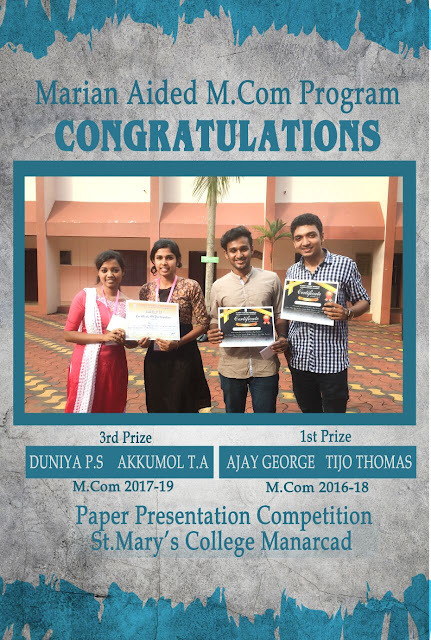 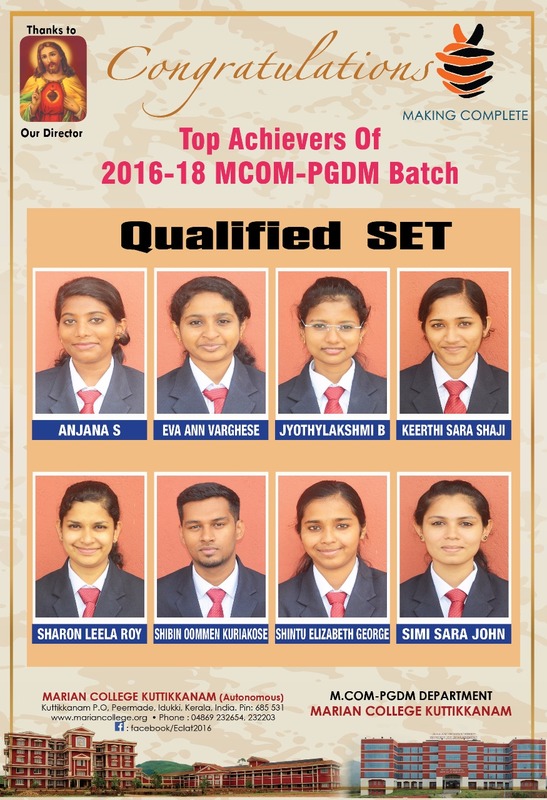 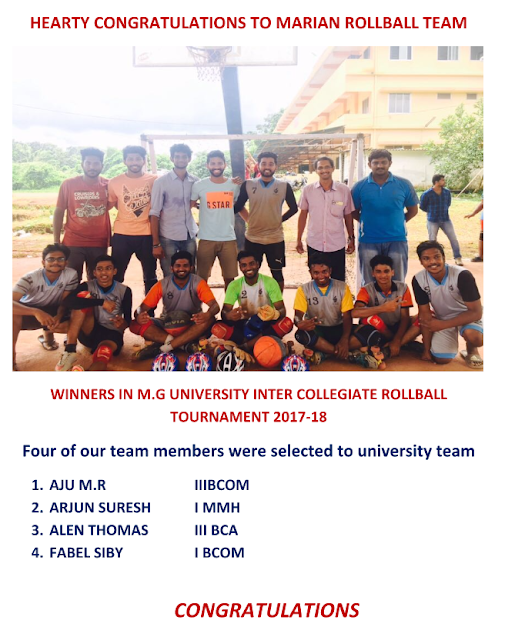 Top achievers of 2016-18 MCOM-PGDM Batch. Eight students cleared State Eligibility Test - SET. 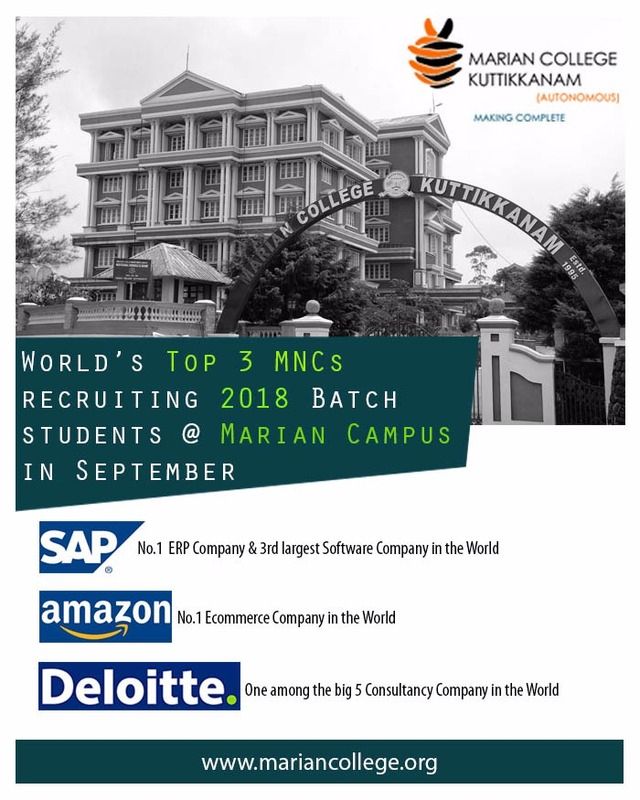 Deloitte Recruitment drive@ marian campus. 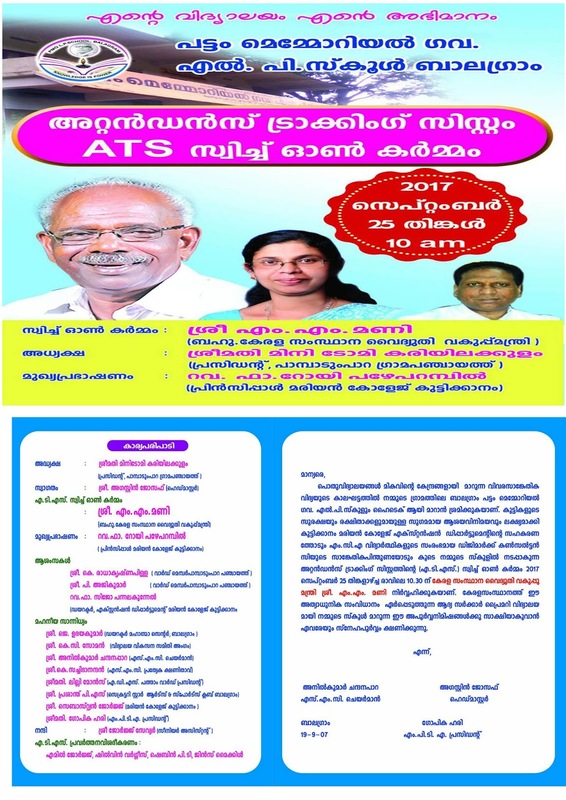 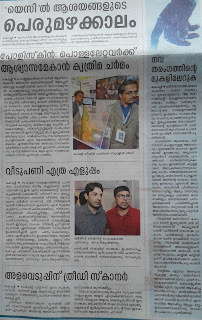 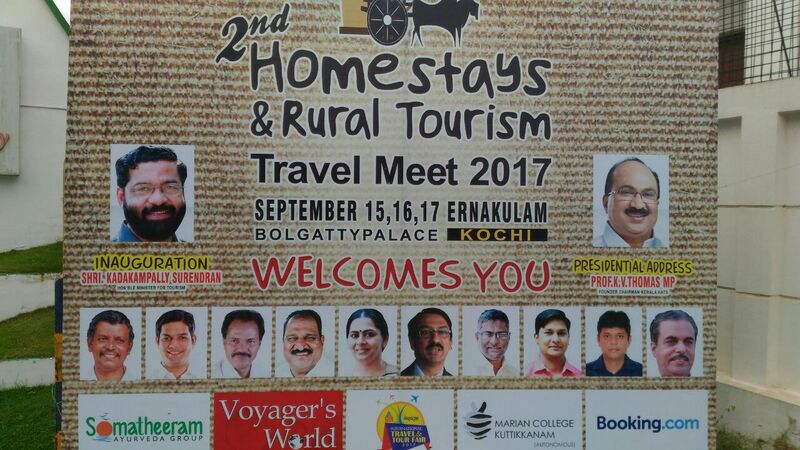 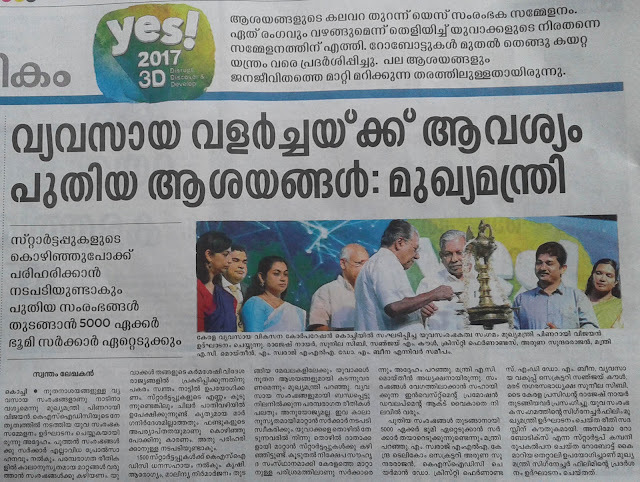 Over 1300 students participated from about 100 Arts & Science colleges from around Kerala. 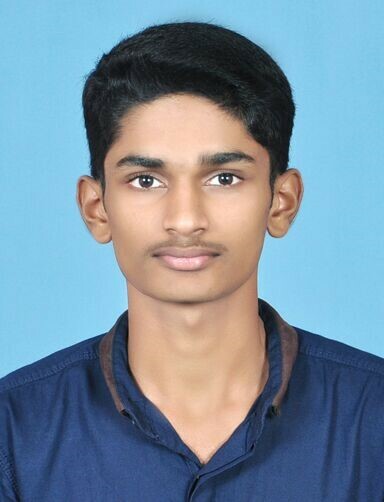 Mr. Lukachan Mathews of 1st BCom A secured Gold medal in junior section (50m free rifle prone) and Bronze in senior section South India level Shooting Championship. 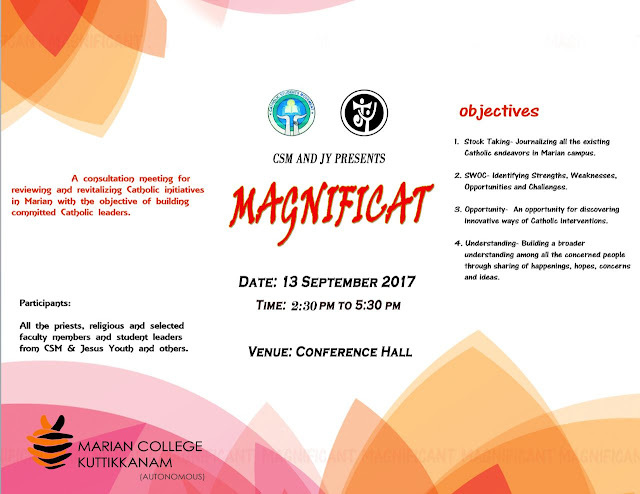 MATRIX inauguration organized by The Department of MCA. 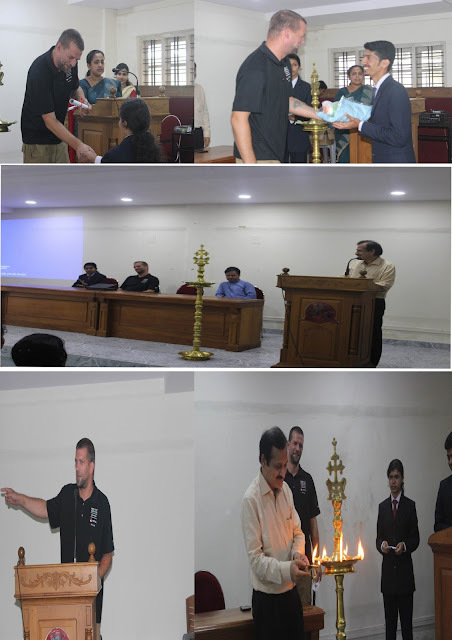 The chief guest was Mr. Grega Bremec from Slovakia. 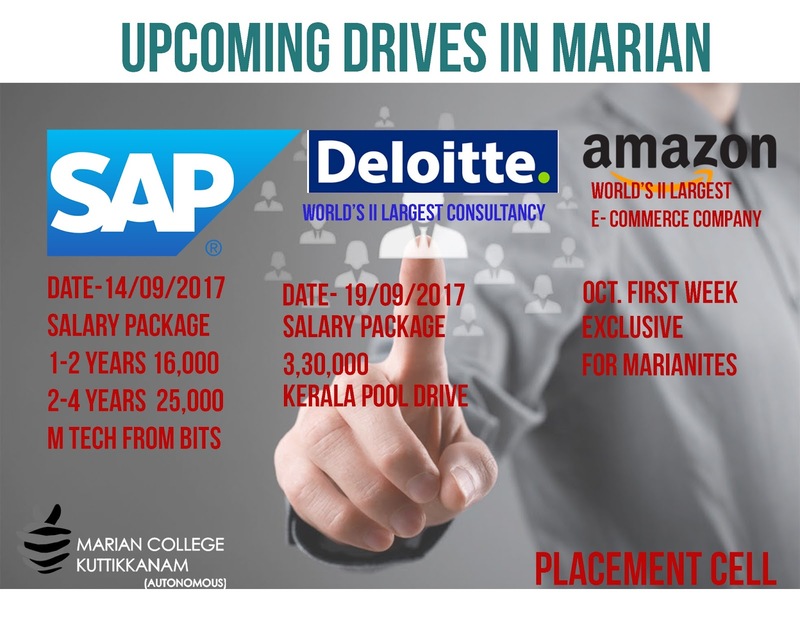 He is a Technical Manager and an Instructor on Open Shift. 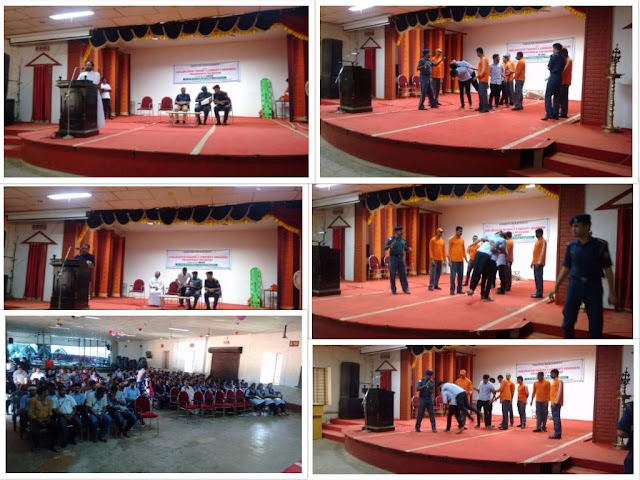 He also distributed certificates to a few of our students who are certified RHSE Engineers. 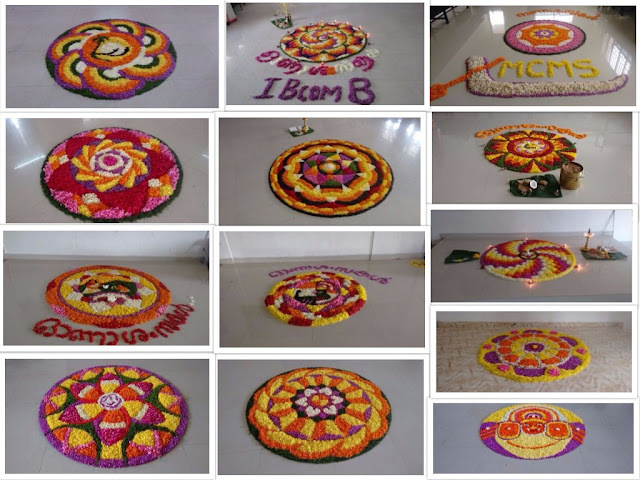 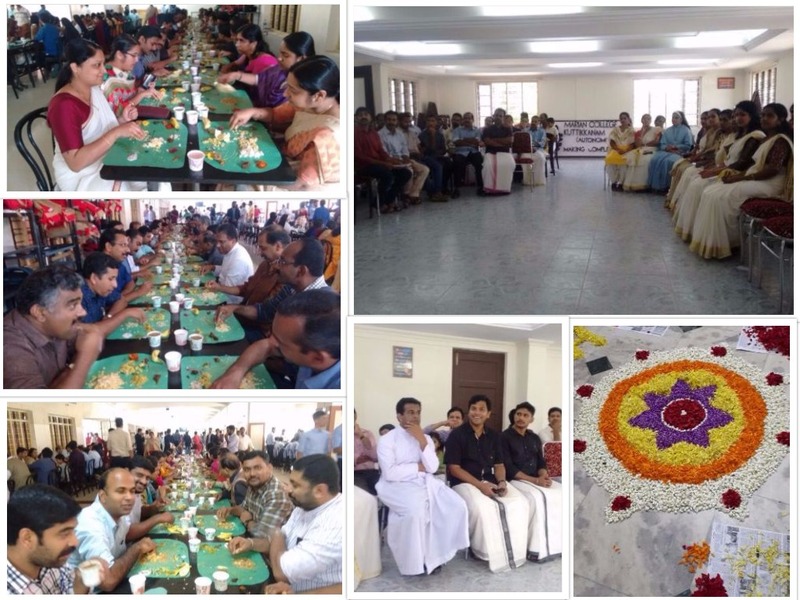 Onam Celebration with our Manager Fr. 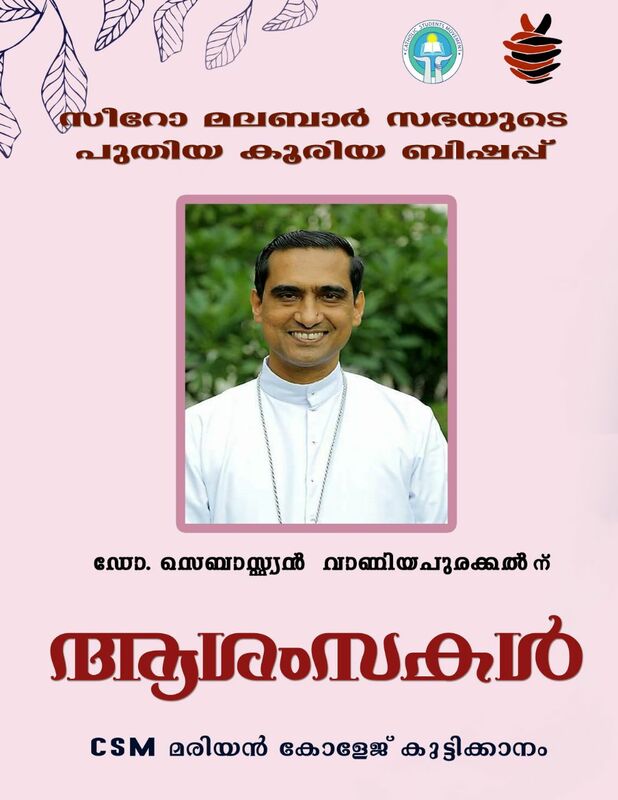 James Kozhimala. 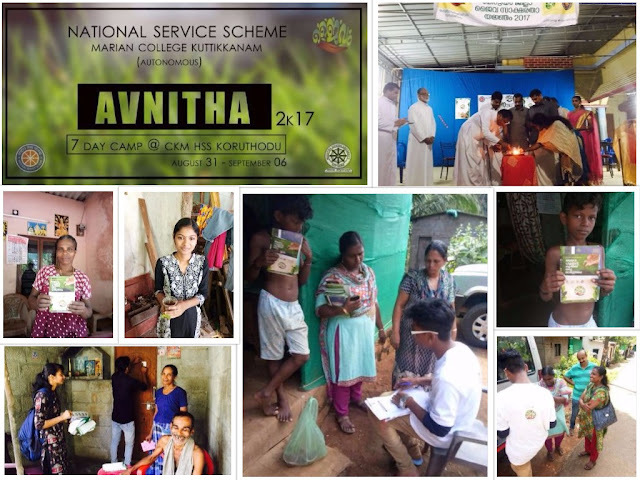 'Avnitha2k17', Annual Seven Day Camp organized by NSS unit, Marian College. 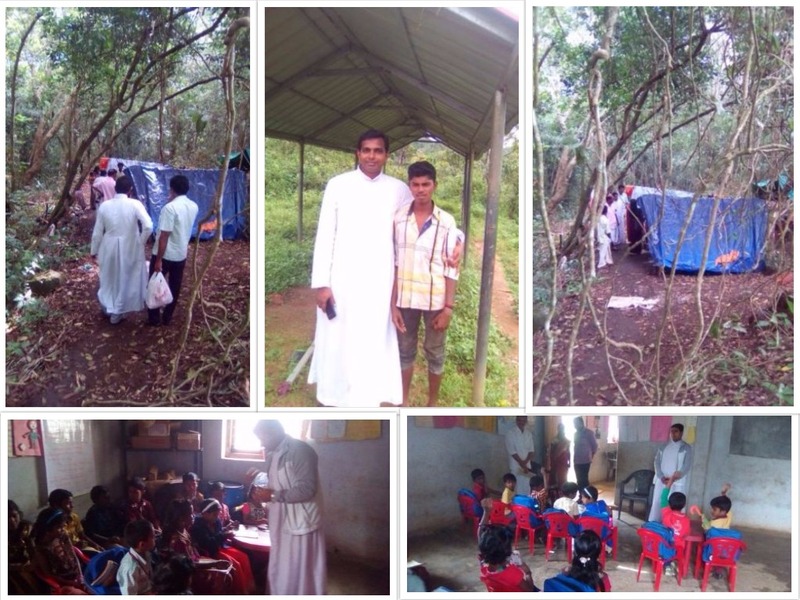 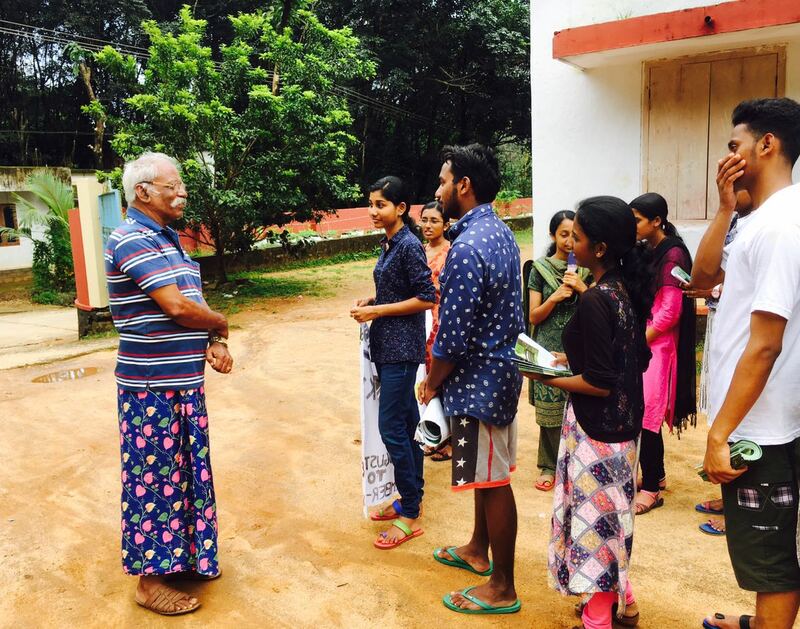 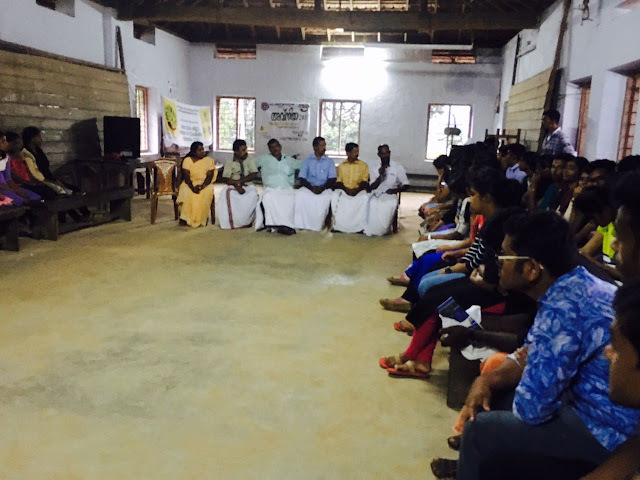 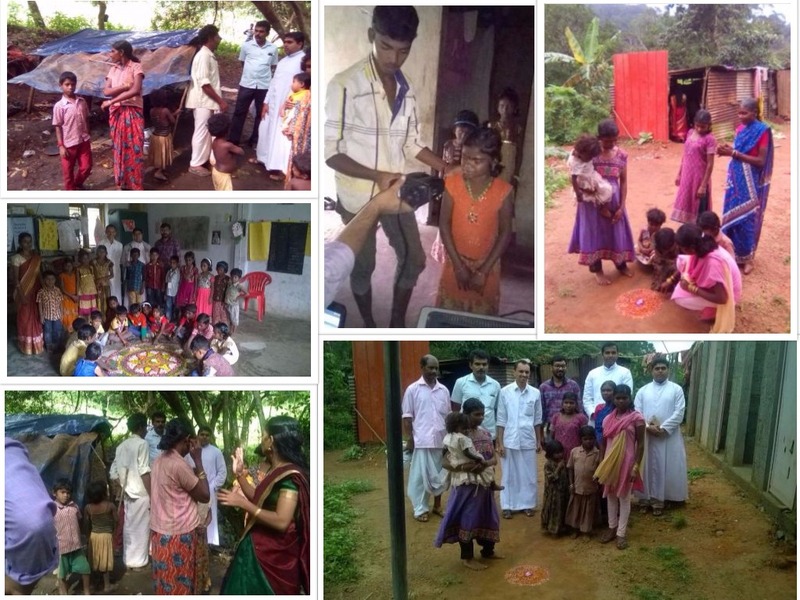 The volunteers conducted an organic farming awareness survey at Koruthode. 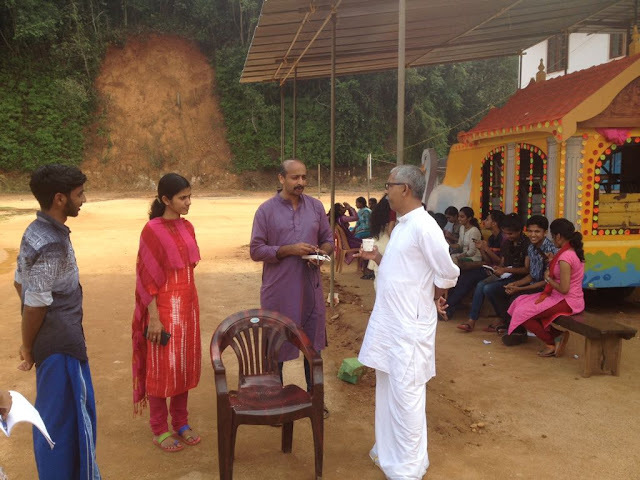 They also distributed pamphlets on organic farming to the localites. 'National symposia on Social Work in Correctional Administration' in collaboration with Partner Academy of Prisons and Correctional Administration. 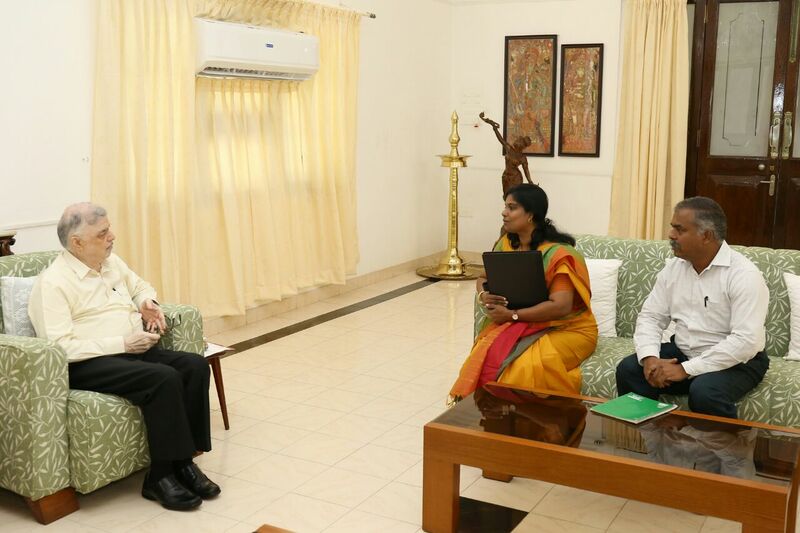 Governor expressing his consent to inaugurate the symposia. 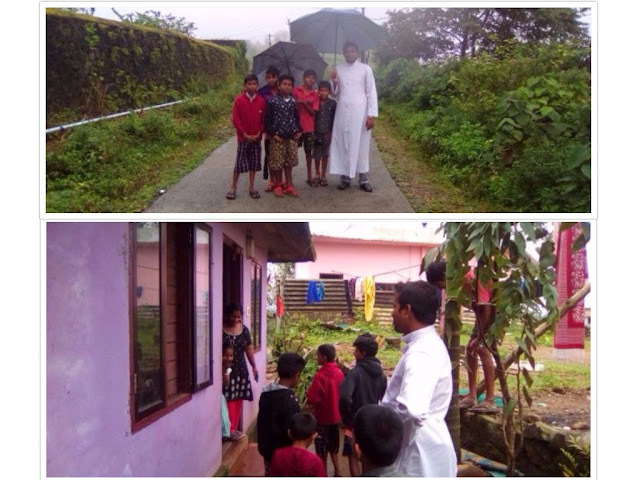 Sathram tribal school visit for need assessment and facilitating the wandering tribes (Malapandaram) to take Adhar Card. 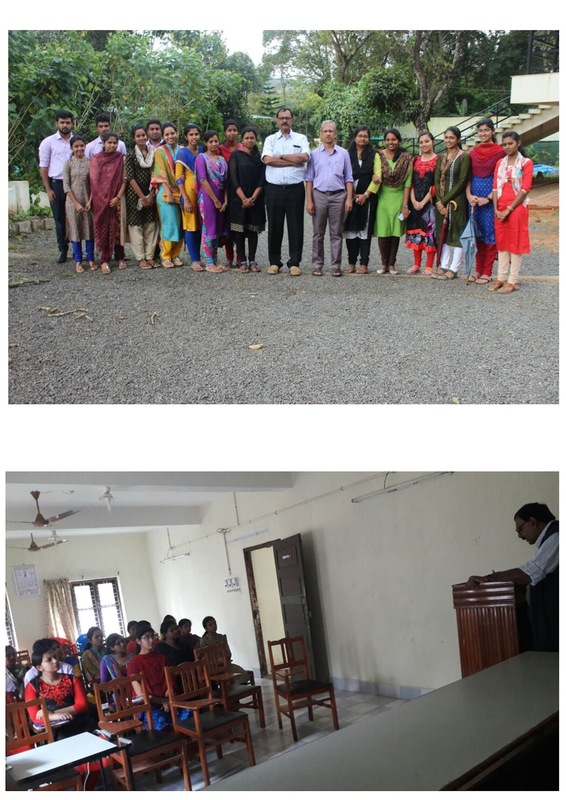 The programme was initiated on 25th August by The Extension Department in association with Tribal Development Department, Peermade. Fr. 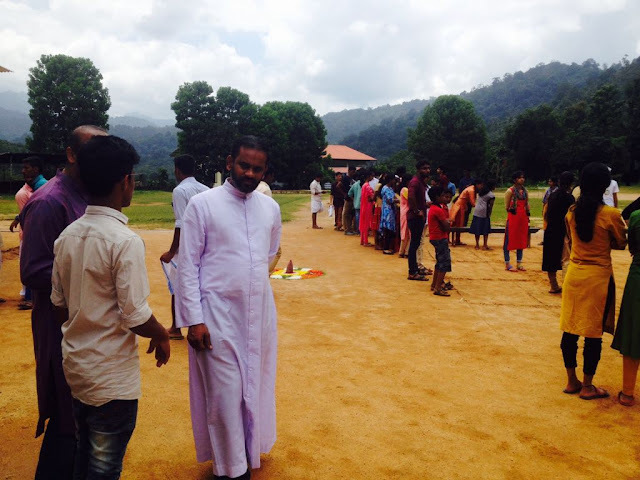 Sijo (Extension Director), Fr. 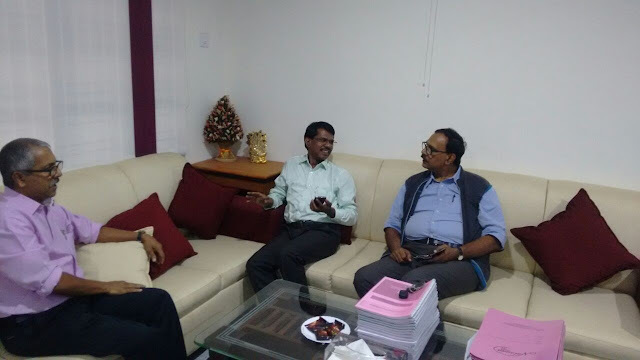 Robin Pendanath & Dr. Jobi Babu (Faculty, School of Social Work) and Mr. Sebastian (Extension Coordinator) were present.